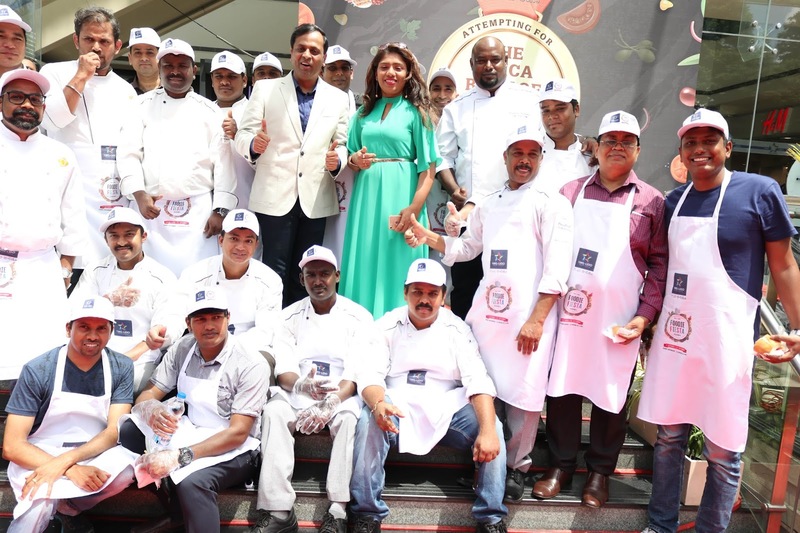 Foodies from all over Bengaluru, fitness enthusiasts, charity homes, the expatriate community and the film fraternity found themselves eager to taste the record-breaking 60-foot-long sub specially created by 1MG-Lido Mall as part of the Foodie Fiesta (season five) at the mall. The attempt to create the sub by the mall as part of its social responsibility in sharing happiness with the community was a key milestone in bringing the community together. Accompanied by the beats of dollu kunitha, a traditional drum dance from Karnataka, the music enthralled the mall with everyone cheering as the sub was being prepared by Food Hall chefs. While the sub was pieced together to completion, Shantamalappa, ACP Crime - East Division and Raja Imam Kasim P., ACP Traffic – East authenticated the record for the Limca Book of records. The submarine sandwich measured 60 feet 9 inches. Each and every ingredient of the submarine sandwich was provided by the F&B outlets present in 1MG - Lido Mall. Mamatha Saravana, Corporator and Town Planning Member, Ward 90 and Sarvana, Ex Corporator, Ward 90 were also present on the occasion. Representatives from the Overseas Women’s Club comprising more than 30 nationalities also supported the event with their enthusiastic presence and participation.